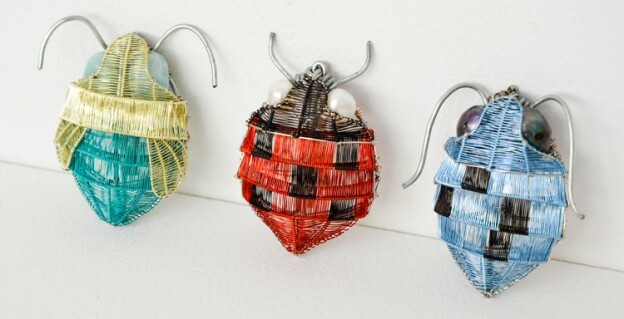 Kate Packer, Wire Brooch, Insects, Jewellery. Gemstones as shown: Freshwater Pearls & Aquamarine. This entry was posted in Gift ideas, Jewellery, Metalwork, Online Gallery Overview and tagged Art, gift idea, Jewellery, Kate Packer, Metalwork on June 21, 2015 by 45 Southside.